How do you deal with colds and flu in the lead up to exams? 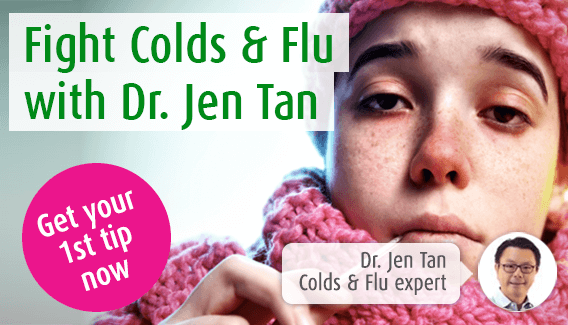 home > health > immune system > how do you deal with colds and flu in the lead up to exams? Find out why illness is more common during exam season and discover how to deal with it at this time. Whatever the situation, whether it’s school exams, university tests or a work-related assessment, the exam period puts a great deal of strain on our bodies and our minds – and that’s when we’re at a fully-functioning, healthy level! When we’re not, the situation becomes even more draining. There’s a whole variety of cold and flu symptoms that can hinder exam preparation - from constant, energy-sapping coughs, to fever and aching muscles. Therefore, to help you out during this stressful period, today’s blog focuses on how to deal with colds and flu in the lead up to exams. Can exams make you sick? lllness is a common occurrence when preparing for exams and, perhaps more frustratingly, in the days after testing has concluded. This is down to two things: stress and the immune system. Nevertheless, if you do get ill there are lots of things we can do to make the combination of stress and exams less harmful. You will want to enter the exam hall feeling confident that you’ve done everything you can in the lead up to it and with a few easy steps you can. Cold and flu viruses include a range of symptoms that can make it difficult to continue with exam preparation. Your ability to concentrate decreases for example, when flu gives you a sore head or a cold means you are sniffing every few minutes. Therefore, if you do fall ill and are not feeling up to much, it’s important to make the most of the time you’ve got, even if that’s just a couple of hours between coughing fits or naps! What works for you? Do you work better in the mornings or evenings? Everybody’s different so work out what suits you and plan around that. Make a study timetable. Make a realistic plan regarding the tasks you need to complete - you’re ill so don’t expect to be able to do everything you would be able to when healthy. Also, as already mentioned, it’s harder to retain information when you’re poorly so allow a little extra time to get your work load finished. Take regular breaks. After a period of study, your brain gets tired and it gets harder to retain the information you want to. Also, with illness on top of this, the task of memorising becomes even harder. Don’t panic though as there are simple things you can do to give your brain a break, things that are still possible when you’re poorly. Taking a walk to your local shop for example, gives you some fresh air and exercise and will help you return to your studies feeling refreshed. Ginkgo biloba drops. This is a traditional herbal remedy that can help a variety of symptoms, including dizziness, tinnitus and, importantly, poor short term memory. The recommended dose gives very fast results so, if you’re suffering from a cold or flu whilst preparing for your exams, Ginkgo could help you study more effectively. If you’re already distracted by the symptoms of your illness, you don’t need to be distracted by your study environment as well. You want to make sure you’re as productive as possible so it’s important to organise your study space. Keep things like tissues, water and flu treatments at hand. It’ll interrupt your studying if you have to keep wandering off for these things, so keep them close at hand to maximise your productivity when you’re ill.
Keep the lights up. When you’re ill, you’re more likely to feel drowsy so keep the main lights on in your study space to keep yourself feeling alert. Get comfortable. If illness means you have to move from the desk to the couch (with the nearby television switched off of course), then do it. You’re likely to get more done, and keep at it for longer, if you feel comfortable where you’re doing it. If you are ill and stressed the thought of doing exercise isn’t always an enticing one. However, exercise causes a release of endorphins that help improve mood and this can be useful during an exam period. If you have a cold or flu virus then it’s best not to do a hard session at the gym or go for a ten mile run. Nevertheless, there are exercises you can do that can have a positive effect and will put less of a strain on your body. Little and often! This is key when studying for exams so schedule in other activities and plenty of breaks to prevent yourself from feeling swamped by illness and revision. Walk. This is a really effective way of relieving stress and won’t negatively impact your poorly body. Just make sure you go at your own pace and don’t push yourself too hard. If a ten minute walk to your local shop is all you can manage then that’s fine! Perhaps the next day you’ll be able to do a fifteen minute stroll. Relaxation techniques. If you’re feeling stressed take yourself away from the books and tissues for a short while and focus on something else instead like relaxation and breathing techniques. These are a great way to relieve nerves and stress as they leave you feeling calm and refreshed. Have a look at our blog ‘breathing tips to relieve stress’ for some easy examples on how to go about it. When we spend lots of time sitting at a desk studying we tend to snack more on sweets and crisps as a distraction from whatever is in front of us and, when it comes to meals, we go for quick, easy (often unhealthy) ones so that we can swiftly return to work. However, when you’re ill the prospect of taking time and energy to prepare healthy means is unenticing. Nevertheless, the best way to keep your body going is to give it the energy it needs to recover. Drink plenty of water. Staying hydrated is really important when you’re ill, so water is a good alternative to caffeinated drinks. Water also helps to boost the immune system which is important if you want to beat your cold or flu. What should I avoid? Avoid coffee, energy drinks and fizzy drinks as these contain caffeine which can dehydrate you. Snack well. Avoid things like chocolate and crisps as these are high in sugar and salt and can actually take energy away. Instead opt for nuts, fruit and vegetables as these are rich in antioxidants and minerals to help you on the path to recovery. Try a smoothie! You may not feel like eating much when you’re ill, but a smoothie is really easy to consume and provides a lot of goodness as well. Our website contains a range of recipes so you’ll be able to find one to suit your tastes. A favourite of mine is the simple apple and banana smoothie as it contains fruit most of us have in our kitchen. It’s also rich in vitamins and minerals, high in antioxidants and is a good source of fibre too so should help you beat your illness. Eat proper meals. The combination of illness and stress probably means you don’t want to do much cooking or consume anything significant. However, if you don’t give your body the nutrients it needs, it’s not going to get better very quickly! Therefore, you could opt for something healthy, fulfilling and easy to eat like carrot and ginger soup. This warm liquid will soothe symptoms of a cold like coughing or a sore throat. Also, this recipe is full of goodness like vitamin A so not only will it help your cough, it will help your body too. The latter helps fight illness and infections that often accompany coughs. If you have the unfortunate combination of a cold or flu alongside exams then you’ll probably be looking around for a quick, effective treatment. Well, we have a few suggestions that will help you through this stressful period. Echinaforce is a licensed herbal remedy that helps fight against cold and flu symptoms. It is made from freshly harvested Echinacea and comes in various forms including the traditional tablet and tincture, as well as the Echinaforce Sore Throat Spray and the Echinaforce Hot Drink. The warm liquid of the hot drink will soothe your troublesome throat whilst the addition of black elderberry means this is a fresh, pleasant treatment for nasty coughs. Getting enough sleep is the key to performing at your best during the exam season but securing enough can be difficult when you’re feeling under the weather - that’s why we’ve listed a few ways to help you get the best night’s sleep possible. This will help to maximise your productivity in the hours you are awake. Nap. You’re probably saying ‘I don’t have time to nap – there’s too much to do!’ but when you’re ill and stressed, this extra rest can actually help you get more done. It can increase alertness and, in fact, a study in 2010 found that napping improves learning because your brain has an opportunity to process new information.2 Just make sure you set alarms to wake you up and don’t spend more than twenty minutes napping at a time. You want to make sure you can remain productive, not groggy, as well as ensure you sleep at night. Avoid too much caffeine. You might think this will allow you to study longer, but when you do actually want to go to sleep, having lots of caffeine in your system means you’ll struggle. Drink plenty of water instead or, if you’re up to it, why not try a refreshing herbal tea such as Jan de Vries Dutch Herbal Tea. Not only is this a pleasant drink, it will help soothe a cough too – an unfortunate symptom of a cold or flu. Make time for sleep! It is important to plan your sleep to make sure you get enough of it. Most people need about eight hours a night so make sure you go to bed at a time that will make this possible. Also, it’s good to add an extra thirty minutes onto that figure to allow for the time it actually takes to get to sleep. Put your phone away. Yes, this sounds like something your Mum would say but she does have a point! The artificial light created by a phone or tablet tricks your brain into thinking it’s day time and this can make it harder to get to sleep. Why not set a time to put your phone away at each night? This is one small step that will help when you go to bed. Create a night time routine. This should include a lot of relaxing activities that will help prepare your mind and body for sleep. Dim the lights to let your brain know it’s getting near bed time and then chill. Read a book, have a warm bath or listen to music – whatever activity makes you feel most relaxed. However, avoid watching television at this stage because this requires your brain to stay alert in order to process the plot lines and content. Also, once again, the artificial light coming from the television will prevent sleep. Avoid ‘all-nighters’. There’s no point doing an ‘all-nighter’ or staying up late to study if you have to get up early as you won’t be able to perform at your best. Instead, set a time to finish studying at and don’t go over it. You’ll only make yourself feel more ill if you try to study through the night because your body won’t have had an opportunity to recover. Bed means sleep! If you work in bed then your brain will stop associating this spot with rest and sleep. Therefore, it’s important to find a study space away from it to help you get the best sleep possible. Try Dormeasan. This herbal remedy can help you to achieve a good night’s sleep. If you drink the prescribed amount half an hour before you go to bed it will encourage your body to slip into a natural sleep and will help you to wake up feeling refreshed. Anxiety can increase when you’re ill during the lead up to exams. This can decrease productivity so staying positive is crucial to getting through this period successfully. Avoid defeatist thoughts. Don’t waste time telling yourself ‘I’m so ill, I’ll never get all this work done’. Instead keep in mind that any revision is worthwhile! Be realistic! When you’re ill and preparing for exams it’s important to remain realistic about what you can achieve. Can you read notes or take a short practice test instead of spending hours memorising facts? This may be less draining on your body but will still be productive. Be open. There comes a time when, regardless of your efforts, sickness becomes too much and studying becomes near impossible. However, most institutions will take illness into account when marking papers or when considering whether or not to allow a re-sit at another time. Be open with your school, college or university and find out what the protocol is. Remember - they’ll want you to achieve the best score possible and know it’s not your fault that you’re ill.
1 Marshall GD, Sandeep KA, Lloyd C, Cohen L, Henninger EM and Morris GJ. (1998) Cytokine dysregulation associated with exam stress in healthy medical students. Brain, Behaviour and Immunity 12: 297 – 307. Ginkgo biloba drops are a fresh herb tincture, which can help to maintain a healthy circulation, as well as helping to maintain and benefit the blood flow to the brain. To find local independent stores in your area that sell Ginkgo biloba drops, simply type your postcode below.